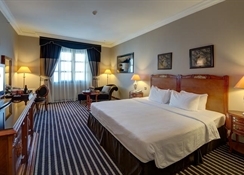 The Royal Ascot hotel Dubai is centrally located in Bur Dubai and offers plush and spacious rooms with high ceilings and contemporary design. Known for their best of hospitality, the Khamas group welcomes families, couples and business travellers on their stay in Dubai. 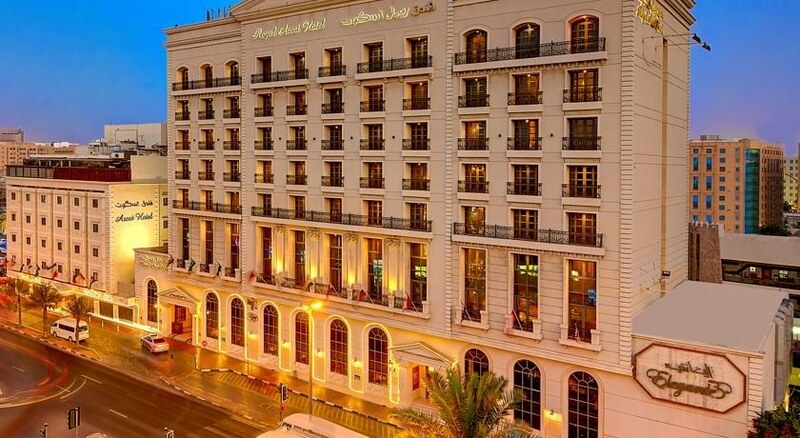 The hotel is located close to many major tourist attractions and is in the close vicinity of shopping areas, the Old Souk and key business centres. The hotel is close to both the ADCB metro station and the Dubai International Airport. Enjoy the authentic taste of cuisines from all over the world along with sumptuous deluxe breakfast served in-room. The hotel has a host of health and wellness programs including sauna, steam baths, massages and more. 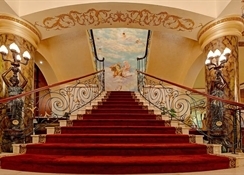 The hotel is surrounded by various popular tourist attractions and is strategically close to public transport terminals. The BurJuman shopping mall is 2km from the hotel. Schedule a visit to the Dubai Museum which is also less than 2km. Alternatively visit the Burj Khalifa skyscraper, which is 9km from the hotel. 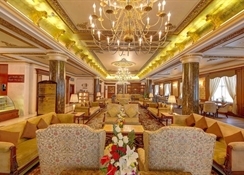 The hotel is 8.5km from the Dubai international Airport. Rooms at the hotel are of three types based on the carpet area. Guests can choose between Superior deluxe rooms, Premium deluxe rooms, Deluxe suites, Balmoral suites and Grand suites. All rooms offer centralised air conditioning with temperature control, TV, minibar, tea & coffee making facilities, free Wi-Fi and in-room safes. Balmoral suites offer separate living and dining areas in addition to a four-seater dining table. These suites also offer a Jacuzzi. Grand suites include two bedrooms and a sofa. 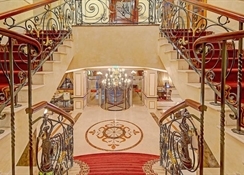 Royal Ascot hotel Dubai has a host of dining options. The West End Coffee Shop lets you in on a relaxing ambience to enjoy your coffee freshly prepared with ground beans. Wellington steakhouse and Lounge Bar is the place to be at evenings. With alcoholic beverages, house spirits and savoury snacks. Enjoy authentic royal North Korean cuisine at Ok-Ryu Gwan restaurant. Ayam Zaman restaurant creates Mediterranean magic with its Lebanese cuisine. Highlighting an outdoor swimming pool, this property offers exceptional views of the city. Guests can spend their time relaxing at the spa, which offers a wide range of body treatments. Guests who like to stay fit even on their vacation can do thanks to the hotel's state-of-the art gym fitted with the latest cardiovascular equipment.